rather long legs. 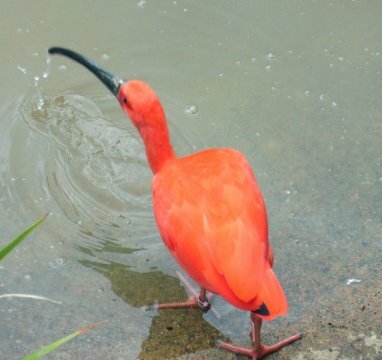 The bill is also long, decurved in the case of the ibises, straight and distinctively flattened in the spoonbills. at 45 cm and 450 gr , to the Giant Ibis, Thaumatibis gigantea, at 100 cm and 4.2 kg. They are distributed almost worldwide, being found near almost any area of standing or slow-flowing fresh or brackish water. Ibises are also found in drier areas, including landfills. The Llanos are notable in that these wetland plains support seven species of ibis in the one region. and the lower Orinoco River and the Guiana Highlands to the east. The elevations of the Llanos rarely exceed 300 metres. The Llanos Altos form extensive platforms between rivers and rise 30 to 60 metres above the valley floors. The Llanos are drained by the Orinoco and its western tributariesAnnual precipitation is concentrated between April and November and ranges from 1,100 mm to 4,570 mm. Mean daily temperatures in the Llanos exceed 24 °C throughout the year. with long-stemmed and carpet grasses in the drier areas. Much of the Llanos Bajos is subject to seasonal flooding. 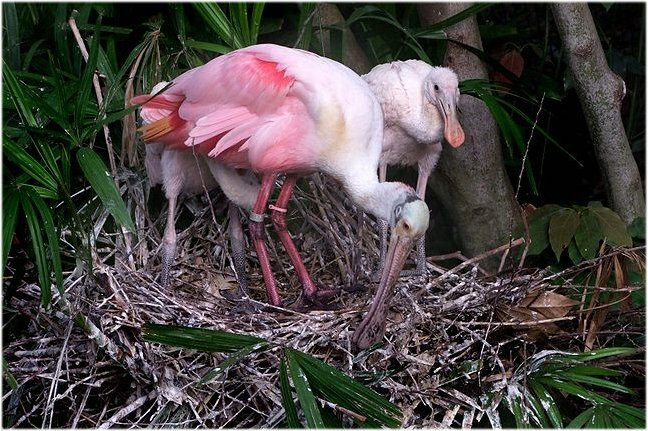 earth or mud, spoonbills by swinging the bill from side to side in shallow water. At night, they roost in trees near water. They are gregarious, feeding, roosting, and flying together, often in formation. and may leave the nest, often forming creches but returning to be fed by the parents.